This is a 1.2 meter (4 ft) and 13 mm wide brown leather dog lead made of full grain thick belting leather (4 mm thick). It has attractive handmade plaited detail instead of stitched leather. These short leather dog leads are very strong, yet comfortable and light in your hands. 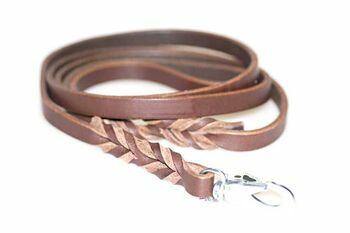 Great dog lead if you are looking for shorter and wide brown leather dog leads. We recommend these wider handmade brown leather dog leads with our small, medium and large size sighthound collars. 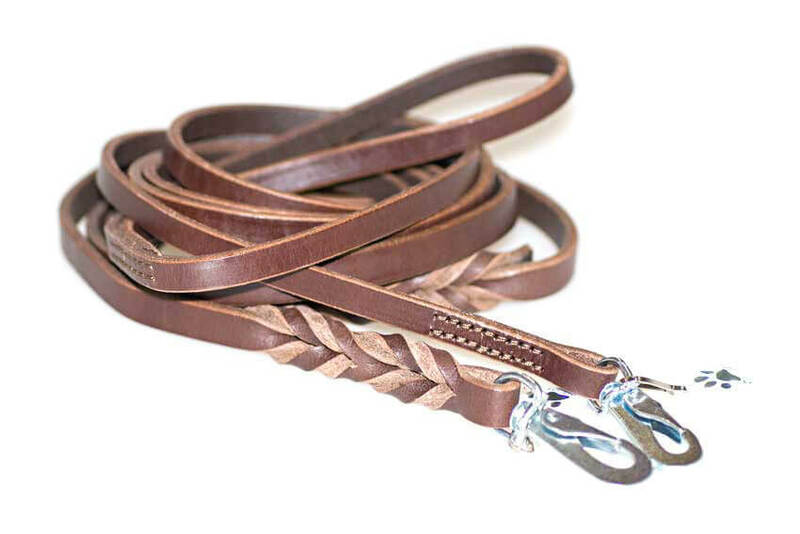 Great everyday brown leather lead for dogs that pull, as it combines top quality, uniqueness, functionality and great price. Thank you so much Dog Moda. My order arrived this morning. The dog collar and wide brown leather lead are fabulous, as I thought they would be! Lovely lead that is great for our 6 month old whippet.